Palm trees add a lush, tropical feel to the landscape -- but that look may be somewhat diminished when sheet metal is wrapped around the trunk of a palm tree. Still, the metal may be the lesser of two evils; sheet metal is sometimes necessary to reduce the threat of damage to your tree and home caused by rats and other climbing pests. Bands of sheet metal around tree trunks are sometimes called rat guards. The palm tree family (Arecaceae) is huge. Most people probably identify palm trees with tropical areas, but some grow in climates that have freezing winters. In fact, you can find palm trees growing in U.S. Department of Agriculture plant hardiness zones 7 through 11. None of these trees are immune to pests and diseases, but not all palms should or need to be dressed in metal. This technique is usually reserved for prized landscape specimens in areas that have mammal pest problems -- usually trees grown near buildings, such as the blue hesper palm (Brahea armata), which is hardy in USDA zones 8 through 11, and the windmill palm (Trachycarpus fortunei), which is hardy in USDA zones 7b through 10. Rats -- and in particular, the roof rat (Rattus rattus) -- are known to nest in palm trees. In fact, palm trees are the preferred choice of roof rats, according to the University of California Master Gardener's website, although other types of rats also enjoy nesting in palms and other trees. They are excellent climbers and, once in the tree, can easily make their way to rooftops and into attics by creeping along overhead wires. They'll chew through wood, electrical wires and even through your palm fronds, causing them to droop and possibly drop. 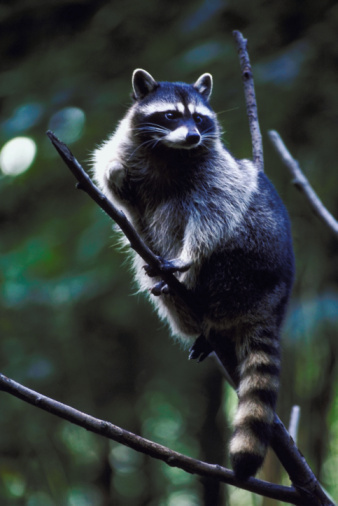 Short of chopping down the tree, your best bet is to prevent the rats -- and squirrels and other nesting mammals -- from being able to climb up to the fronds in the first place. A band of sheet metal, wrapped around the trunk, can prevent climbing pests from gaining a foothold. But don't think you have to encase the entire trunk in shimmering gray -- it only takes one strip of metal between 12 and 24 inches wide to be effective. 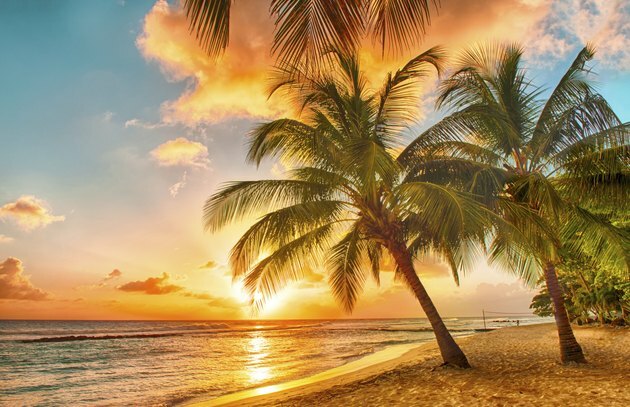 Palm trees that have multiple or clumping trunks, on the other hand, should be protected by a 2-foot-tall metal wall that, when inserted into the ground, surrounds all of the trunks. Metal bands should be placed at least 4 feet up the trunk, as some rats can jump as high as 3 feet. Wrap the metal band around the palm's trunk, but don't nail it to the tree -- this will damage the tree. Instead, place a wire against the trunk vertically; then, as you wrap the band around the tree, ensure you place it over the wire. Secure the band in place by bending the ends of the wire over the metal band. The wire should be a few inches longer than the band is wide to ensure the ends are long enough to bend over the band. The band should be snug enough so that it won't slip down, but not so tight that it cuts into the tree. Check the band occasionally, and adjust it as needed.